Evergreen boxwood (Buxus spp. 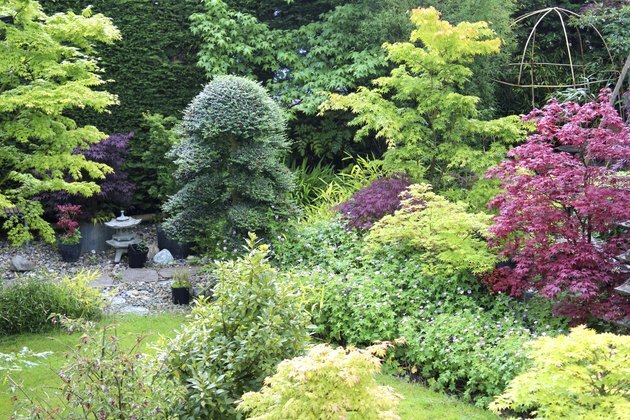 ), with its dense leafy growth, is grown for its beauty and utility as a garden plant, especially for hedging. 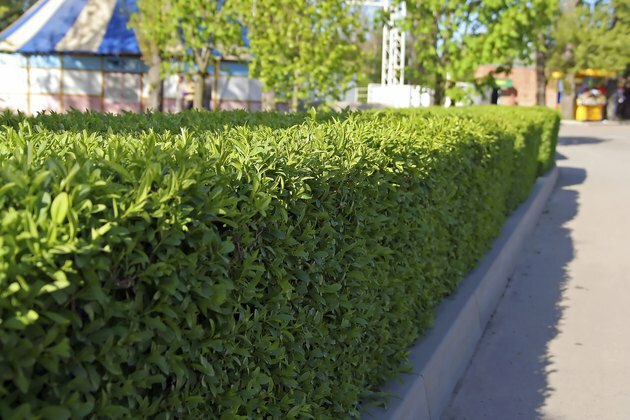 Some species, especially English boxwood (Buxus sempervirens), which grows in U.S. Department of Agriculture plant hardiness zones 5 or 6 through 8, depending on variety, feature leaves that exude a strong scent, especially when the sun shines on them. Individual senses of smell differ, but many people think English boxwood smells similar to cat urine. Other boxwood species are less malodorous and can be substituted for the English type. 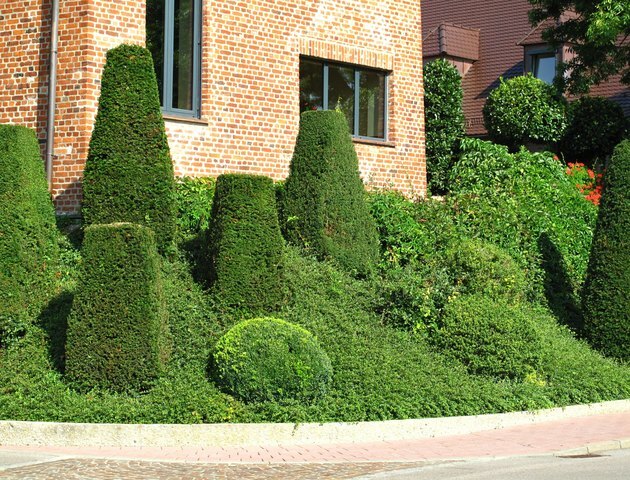 A neatly trimmed boxwood hedge. Littleleaf box (Buxus microphylla or Buxus sinica var insularis), which grows in USDA zones 6 through 9, reputedly has little or none of the foxy or feral cat fragrance of English boxwood. It grows 3 to 4 feet tall, with an equal spread an has a compact, rounded habit. The cultivar, "Green Beauty" (Buxus sinica var. insularis "Green Beauty") is noted for its glossy dark green leaves. Another variety, "Justin Brouwers" (Buxus sinica var. insularis "Justin Brouwers"), which grows in USDA zones 6 through 8, features an equally rounded form and compact size at 2 feet tall and wide. Taller growing boxwood plants in front of home. Japanese varieties of littleleaf box offer the attractions of Japanese boxwoods without the English box odor. One taller variety, suitable for taller hedges, is "Wintergreen" (Buxus sinica var japonica "Wintergreen"), which grows in USDA zones 5 through 8. Like other littleleaf boxes, it has a rounded form, but grows to 4 feet tall and wide or sometimes larger. It also grows somewhat faster than English box. The slightly more slender, "Jim Stauffer" (Buxus sinica var. japonica "Jim Stauffer") grows 4 feet tall, but spreads only 3 feet. Like "Wintergreen, it is hardy in USDA zones 5 through 8. In many ways, the littleleaf, non-odorous boxwoods require the same care as the English types. Both like well-draining soil and part shade to full sun, with the littleleaf Japanese varieties doing best in full sun. Within their hardiness ranges, littleleaf boxes are slightly more tolerant of temperatures on both the highest and lowest ends of their tolerance spectrum. 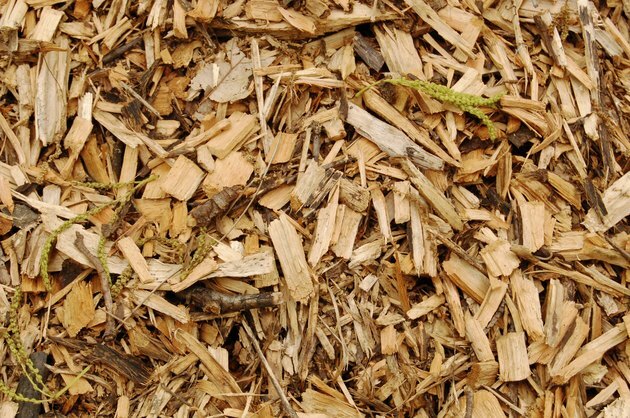 Mulching to conserve soil moisture is a good idea. 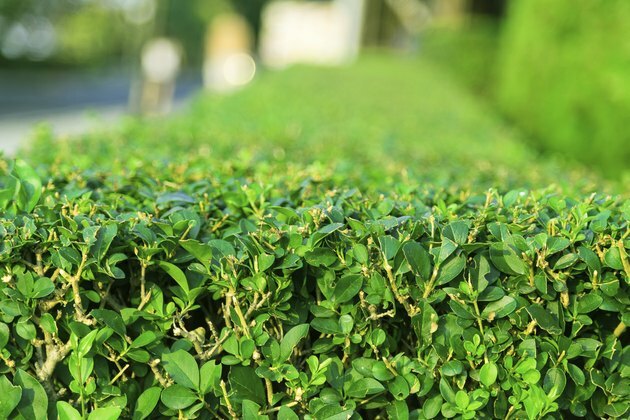 English boxwood thrives best in soil that is on the alkaline side of the pH spectrum, whereas littleleaf boxwood is less fussy. Japanese garden with Japanese holly shrubs growing. If other boxwoods are still too smelly for you, try another evergreen plant with similar attributes including hardiness; small, densely borne leaves and tolerance of shearing. One likely candidate is Japanese holly (Ilex crenata), which grows in USDA zones 5 or 6 to 8, depending on the variety. A slow-grower, like English box, it features shiny green leaves and grows between 5 and 10 feet tall, with a dense, rounded habit. Another related plant and good box substitute is inkberry holly, (Ilex glabra), which grows in USDA zones 4 or 5 through 9 or 10, depending on the variety.